Some work of mine will be included in a program called "UAVM Highlights" during the Web Fake Festival which opens on Dec. 11 and is hosted by the Web Art Center. There are some really interesting projects in the show so if you have a minute, you should check it out. Have also been using my Penn State Altoona webspace for a new website. This site will continue to act as an overall portfolio site, but the new one will include the courses I've been teaching. At some point in the next year, I'll roll out a new version of this website that will look similar to the one I'm working on. That site will then shift gears to focus more on the courses I teach. Animated gifs just above link to their own pages. They are some new experiments based on some recent conversations about Science Fiction. I"m trying out some new things… these are just the beginning of something though since I'm creating them originally with high resolution. A little late on the update this month. Oh well, life changes have made things a little more difficult to get to. THings will smooth out over the next few months. In the meantime, I've got some other things for the site visitors: in addition to the "grid-portraits" site, I've also revisted something that hasn't seen display much at all - "grid-walkrotate" - its more experiments with ASCII worlds and simple motion animation. Two shows/screenings to talk about as well. 62d - a curatorial team from Milwaukee, is hosting a show in two Milwaukee galleries at the same time. They'll be showing some of my work. Give them a visit! Big Screen Project in New York will be opening in October. One of my videos "KBP-reconfigure" will be screened in a special program called "Future Selves" throughout the opening month. Maybe I can get up there to check it out. Working on fixing some other pages for you too, and eventually a complete site overhaul! We are now officially residents of Altoona, PA!!!1! "grid-portraits - a website of various animations related to my experiments with stereoscopic "wiggle", ascii art, and glitches. I've posted all of this stuff here before, but this is a more formal presentation site for the work. Thanks to timb for helping me work out the kinks of getting the video to play in firefox using html5. This month we are moving to Altoona, PA for my new position at Penn State Altoona. I'll update again after we are settled in. Plans are that by next Fall, I'll have a new site developed. RCP-ML2K-PDFzine is now in its 5th issue. We've made it past the one year mark! This issue includes content captured from dump.fm - its an image-based chatroom and I've been chilling there alot... actually... too much. Summer fun!. Below, I'll post some images from my install at the MARNmentors show. It seems to have flown under the radar of the majority of Milwaukee. Don't forget to check out the store - I'm still selling digital prints and also willing to show them just about anywhere. Have a good summer!!! And this last image, comes from a new series I'm working on. They are drawings made with Letraset on Duralar and then displayed or installed in natural environments. I've done similar things with transparencies on windows, but since we're out and about this summer, I'm trying some other locations. I'll probably do more of this in the future. GOTO this art show: MARNmentors Exhbition, Thursday May 27 - Friday June 25, Opening May 27 5-9pm at Brooks Stevens Gallery at MIAD. I've been working with Lane Hall and will be showing some adaptations of old work as well as new work. The show is sponsored/hosted by MARN and will likely be my last show in Milwaukee for quite some time. There are a lot of really great artists involved so if you're in the area you should definitely check it out. As promised, I'll put the online version of my KBP animation below. It was screened last month in Madison at Starlight Cinema as part of their "Cream Of The Crop" experimental video and animation showcase. Gridworks Blog has been in full effect! Great News! I accepted a position as Assitant Professor at Penn State Altoona in the Visual Art Studies Program. I'm really excited about this opportunity and in July we'll be leaving Milwaukee for Altoona, PA. The Union Gallery show, Kate Brandt Pink, went well. My video looked great and I had some digital prints. I'll be adding a soundtrack to the video and will post it up here when its all finished official like. Down below is a picture from the Milwaukee Art Museum After Dark event that I took part in. You can see the animation I made with student collaborator Josh Jensen way in the back up above, behind the Chihuly. The video is also posted below. Some recent/new work of mine is included in the show "Ethereal Views" up at The Eclipse Gallery. I did an interview and sent some work to a the magazine +81 in Japan. It will be featured in Volume 47 which is due out in February. Right now I'm developing some new work for the show "Kate Brandt Pink" - its scheduled to open in March at the Union Art Gallery at UW-Milwaukee. I'm excited to be a part of this show and enjoy the constraint of using a specifc brand of color! Also ongoing this year, I'm taking part in a program called MARNmentors offered by the Milwaukee Artist Resource Network (MARN). I'm partnered with Lane Hall and we'll be a part of the group show in Milwaukee this May. Finally, I'm still applying for positions. Check out my application if your curious. Some Walls show up, with a great essay about my work... thanks Chris!!! Applying for positions for next year, here's my application. Show called Ethereal Views in January at Eclipse Gallery. 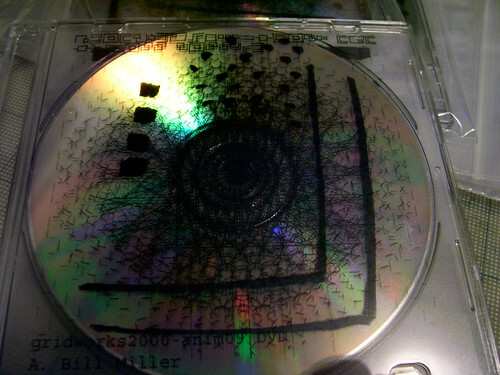 An online exhibition I may not have mentioned here before called Byte Scrapers. Getting ready for baby! Could be any day now!!! In other news, I sent some work to Chris Ashley for a small show at his Some Walls gallery. Which makes me really happy because I've been a fan of his for a few years now. In talks with a different gallery in Algoma, WI for a show this winter. It will probably be some sort of monitor or animation installation. By then I should have a new work out. In the meantime, you may have missed these on my blog, but I've also been developing some animated gif pages. Let them load and watch the tiling gif animations!!!! Then click the page to go to the next... its like a strange gallery of animated gridworks. As part of a performance art showcase, I drew the number 9 and recorded a time-lapse for animation - in a quest to conjure the spirit of nine and attain nineness. Dear Astronaut - Never Ending Nosebleed from a bill miller on Vimeo. Lots more going on. But for once I'll just put some images in here and see how that goes. As always, feel free to contact me if you have questions about anything. Finished a Summer term course called NET+ART, and if you're interested in seeing the student work, check out one of our projects at the PantherTrick Blog. There should be links in some of the posts to take you to what their individual projects. It was fast and furious, but some really intersting things came out of it. A new project with Brandon Bauer has just been released in its first issue. Its a web zine for free in .pdf form. Follow this link "Crunch Crisis". We'll be releasing more issues soon... they zine will be semi-regular. Crosstalk Video Art Festival in Budapest Hungary happened at the end of June and FILE Festival in Sao Paulo Brazil, is about to happen. Both will be showing one of my works. Flickers of Recognition: Technology and the Self Portrait in Door County Wisconsin is almost over... it comes down on the 17th of July so be sure to check into it if you happen to be on vacation in Wisconsin. And as always, if you've seen my work drop me a line and tell me what you think! There's been a lot going on around these parts! First, there are some upcoming shows here and abroad that "gridworks2000-anim09" will be screened at. In no particular order: FILE Festival in Sao Paulo Brazil, Crosstalk Video Art Festival in Budapest Hungary, Flickers of Recognition: Technology and the Self Portrait in Door County Wisconsin. 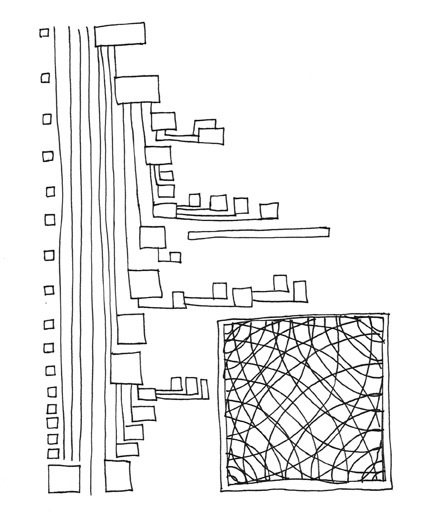 A gridworks2000 drawing related to that project has also been included in the Visionary Drawing Building project. Ongoing - the gridworks video sketch series has a new video up and has also bled over into a project that will be screened with a live performance of the band Dear Astronaut at the Borg Ward Collective at the end of May. Its a special even and the sub-title for the 45+ minute video I'm working on for them is called "Voyage of the Dear Astronaut" and incorporates extensive amounts of Datamoshing. Finally finished work on gridworks-videosketch-04 and included work with RGB MusicLab to create the sound for the sketch. A little experiment with creating QTVR interactive environment out of gridworks2000 collages. I think there may be some possiblities here in terms of creating the grid world that I see. New video sketches uploaded here: "gridworks-videosketch-01", "gridworks-videosketch-02", and "gridworks-videosketch-03"
Possible show coming up this summer, more soon. In addition, images from Milwaukee Spring Gallery Night and some other recent work up in the images section of the site. "gridworks2000-anim09" will be screened atTerminal 1st Annual Short Film Festival in Clarksville, TN next month. Later this month it will be screened at the Present Music Event Flight Box at Milwaukee Art Museum which I also showed at last Spring. I guess that makes up for the show that was recently canceled in Milwaukee... too bad because I would have only shown drawings! Also have updated the images page with some more recent work. "gridworks2000-anim09" has been submitted to a bunch of festivals. And, it is now for sale on DVD!!!! Check it Out!!!! It looks like I will still be in Milwaukee for at least another year! I've finally finished the new animation video "gridworks2000-anim09". Please give the file a minute or two to load... its kind of large... but it has sound and looks good so it's worth it. "gridworks2000-anim09" smaller version if you can't wait.And, it looks like the show at Interontinental Hotel here in Milwaukee will is cancelled. No news is... okay news. Show at Intercontinental postponed until March. April I present at FATE conference. And I've added a new animation and documentation videos. CRAMER-KRASSELT – (246 E. Chicago St. - 414.227.3500 - www.c-k.com) "Time-Based Media". A collection of video, animation and digital technology by local artists. Friday: 6 to 9pm. This show includes 17 films/videos by Milwaukee area content creators. I've heard it my be Milwaukee's first exclusively film/video Gallery Night event. A show of "gridworks2000" will open on March 7, 2009 at Milwaukee's Intercontinental Hotel Gallery. The show will consist entirely of drawings, both digital and ink on paper. This will be the first show I've done with only works on paper. However, Master-List2000 will be sponsoring the show and doing an opening performance of some sort. They haven't told me what exactly yet, but I'm thankful for all of their support. Especially considering the inspiration for the drawings come from my previous work for them. Thanks again to Steve Lambert and the Add-Art Firefox plugin for the online show a few weeks ago. I got some great screenshots of my work on other important websites. That plugin is also up on the Artzilla show website. I highly recommend it. 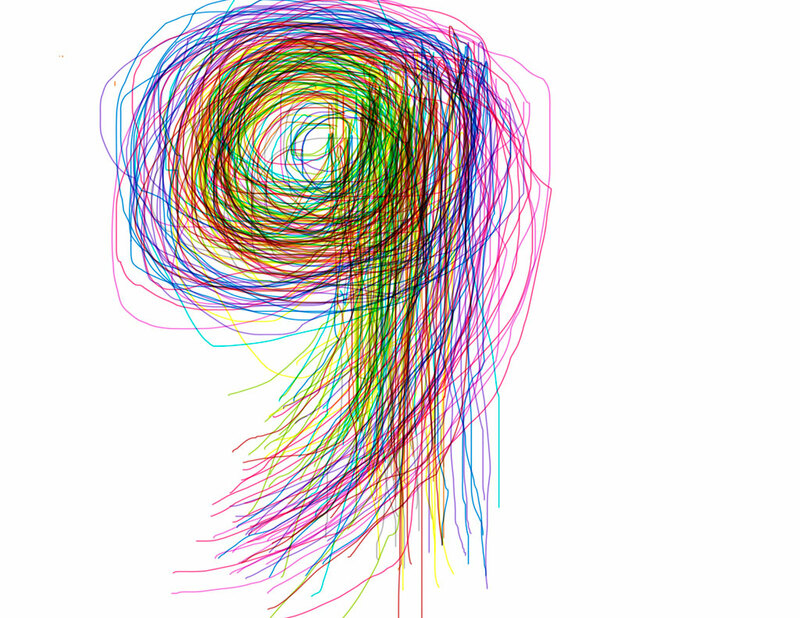 Continued work, research, and development on the creation of drawing based grid fonts. Eventually these may be worked into bookform. Some of the gridworks2000 project will be displayed for a while as part of the Add-Art Firefox plugin. Its been developed mostly by Steve Lambert as part of his work at EYEBEAM in the NYC. Add-Art replaces advertising banners with a rotating art show. I've had it for a bit and really love the work that is displayed. I started submitting gridworks2000 stuff earlier this fall and just got the notice that it would be called up starting tonight. I've also put together my application... I just submitted it to 4 universities. Check out the Beer Barons and Brewery Workers project I developed with Brandon Bauer last spring. Just updated the look of the site! Gridworks Collection Project has been super busy. Just got done curating a show at the Borg Ward Collective called SPRAWL. There's like 10 artists or something... Master-List2000 gave a sweet gallery talk. 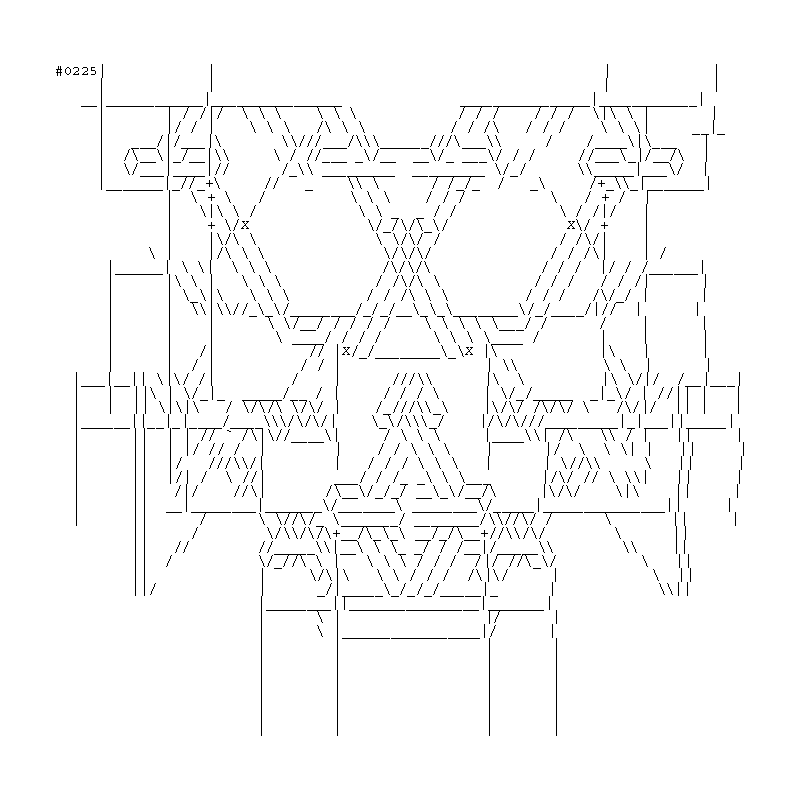 Check Gridworks Blog for new ascii or text based drawings.